Archbishop of Lyons (841) in the reign of Charles the Bald; died 852. From his master and predecessor, Agobard, he learned to hate the Jews, and with the assistance of the Bishop of Rheims and Archbishop of Sens, who nourished the same sentiments, he tried, at the Council of Meaux (849), to revive the old canonical laws and anti-Jewish restrictions. But Charles would not yield to the prelate's injunctions, and dissolved the meeting. 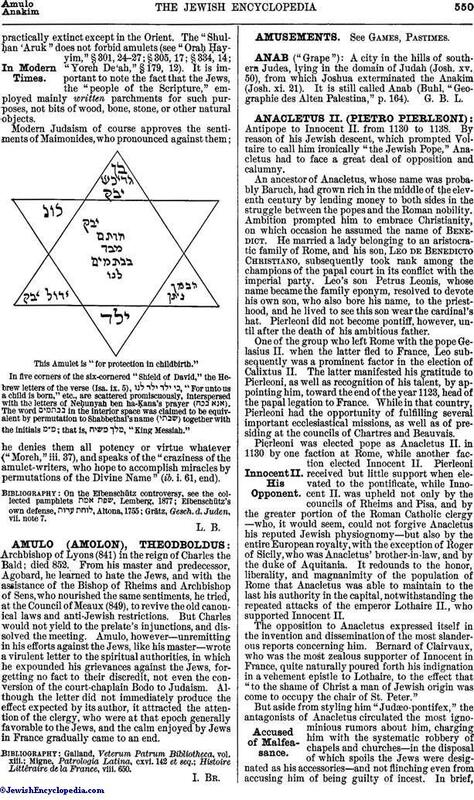 Amulo, however—unremitting in his efforts against the Jews, like his master—wrote a virulent letter to the spiritual authorities, in which he expounded his grievances against the Jews, forgetting no fact to their discredit, not even the conversion of the court-chaplain Bodo to Judaism. Although the letter did not immediately produce the effect expected by its author, it attracted the attention of the clergy, who were at that epoch generally favorable to the Jews, and the calm enjoyed by Jews in France gradually came to an end. Histoire Littéraire de la France, viii. 650.